Finding a loved one treatment is a palpable hold of safety and comfort for the whole family. Addiction is a family disease; behind every addict are loved ones also suffering. We envision good addiction treatment for the person you care about most, because we know how to provide it. And we also know that they deserve the best like any other individual who is struggling with substance use. We ensure that your loved one gets quality attention so that you can rest assured knowing they are in good hands and they can soon return to good health and live safely. Psycho-educational workshops and support groups offer both education on addiction and a support system that helps both the addict and their family understand each other and thrive in sobriety. 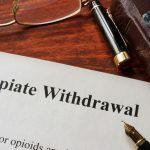 Individual therapy sessions can help family members better understand how to cope with a loved one’s addiction and strategize about ways to build their sustainable sobriety. Our family behavior therapy has been shown to reduce drug and alcohol use in both adults and adolescents. Family is essential in life and heritage; but can family have both a positive and negative effect on addiction? On the one hand, a family history of drug addiction or alcoholism makes it more likely that a child will become an addict as well. On the other hand, we believe fostering a supportive but stern family response to a loved one’s drug addiction can have a hugely positive impact on a person’s recovery. There are a few common warning signs that you may be enabling an addict. If you are guilty of any of these signs you should take the initiative to stop being an enabler for the sake of both you and your loved one. There’s nothing harder than dealing with a loved one struggling with a drug or alcohol addiction. You see them harming themselves and all you want to do is help them overcome their substance abuse issues. However, there is a difference between helping and enabling when it comes to addiction. Find out the signs that you may be enabling the addiction of your loved one. If you think your loved one has a problem with alcohol or drug use, call 800-851-1941 immediately for free 24hr assistance. Are you always putting other people’s needs first at the expense of your own? If so, you may be exhibiting co-dependent behavior and are putting yourself at risk of relapse because of it. In fact, some addicts use codependent behavior to justify continuing their addiction. Often a codependent person will replace their drug or alcohol addiction with a similar addiction for controlling the lives of others. A codependent addict often resorts to people-pleasing behaviors as a means to command their environment. They also may set unrealistic expectations for the people in their lives and use their inevitable disappointment in order to justify their substance use. Codependent addicts deny their own reality along with the reality of those around them. Codependent behavior needs to be addressed along with substance use disorder in order for treatment to be fully successful. Make sure that the drug treatment center you choose emphasizes codependency education. Call us at 800-851-1941 to find out more about addressing codependent behaviors.